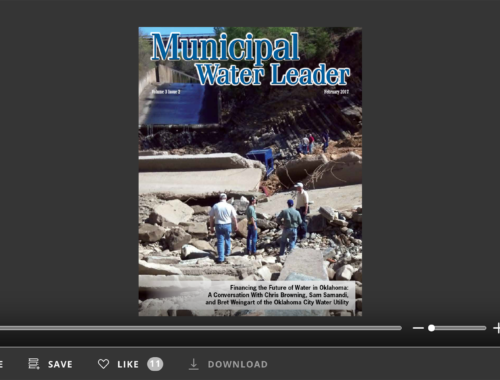 The Metropolitan Water District of Southern California is a cooperative public agency composed of 14 cities, 11 municipal water districts, and 1 county water authority that, combined, provide water to about 19 million people across a densely populated 5,200-square-mile service area. The district was founded in 1928 and is headquartered in Los Angeles. 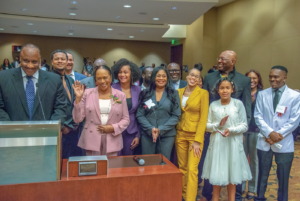 In October 2018, Metropolitan’s board of directors elected Gloria Gray to be the district’s next chair. 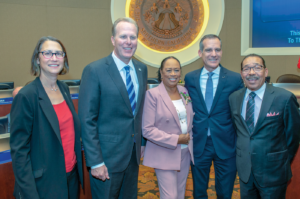 In this interview with Municipal Water Leader Editor-in-Chief Kris Polly, Chairwoman Gray discusses her background in water policy leadership and her top priorities for Metropolitan. Kris Polly: Would you please tell us about your background? Gloria Gray: I was born in Houston, Texas. My family came to Los Angeles when I was 9 years old, so I grew up in Los Angeles. I graduated from the University of Redlands, and my professional career began with the L.A. County Department of Health Services and spanned more than 30 years. I started as a secretary and worked my way up to the top executive secretary. Eventually, I entered and completed a management training program. I recently retired as a healthcare administrator. I have two daughters, five grandchildren, and four great-grandchildren. I have a very supportive significant other and family, extended family, friends, and colleagues who are also very supportive. My first public policy role was winning a seat on the school board in the city where I live, Inglewood, California. I served on the school board for two 4-year terms and then left politics for a couple of years. I reentered public service because I was encouraged by a friend and West Basin Municipal Water District board member to consider running for a seat on that board. I was elected in 2006. 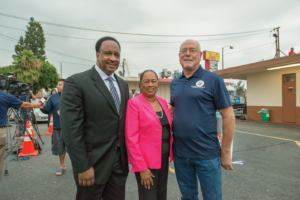 I represent Division 2, which encompasses Inglewood and areas of Athens, Howard, Lennox, Ross-Sexton, and South Ladera Heights. 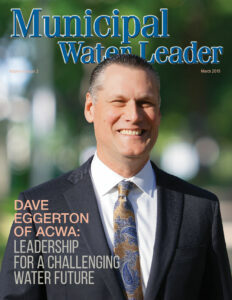 In 2009, I was selected to be one of West Basin’s two representatives on the board of directors of the Metropolitan Water District of Southern California. I have served as vice chair of the board for approximately 7 years and as a member of the executive committee. During my time as a director, I have had the opportunity to work with two great chairmen: Jack Foley and Randy Record, both of whom successfully led the board through significant challenges. I also serve on the board of directors of the Association of California Water Agencies, a major professional water policy organization in California. In 2010, I was appointed by then-speaker of the California Assembly Karen Bass to the Delta Stewardship Council, which was created by the state to implement the Delta Plan, a comprehensive, long-term management plan for the Sacramento-San Joaquin delta. The Delta Plan’s coequal goals are providing a more reliable water supply and restoring the region’s ecosystem. 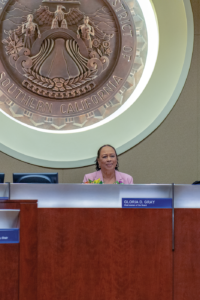 I was the first woman and the first person of color on that council, the first African-American woman to serve as vice chair on the Metropolitan board, and the first African-American woman on West Basin’s board. I’ve really been blessed with the opportunity to learn and engage in water policy from a local, regional, and state perspective. Kris Polly: Basin board, what was your top issue or top concern? 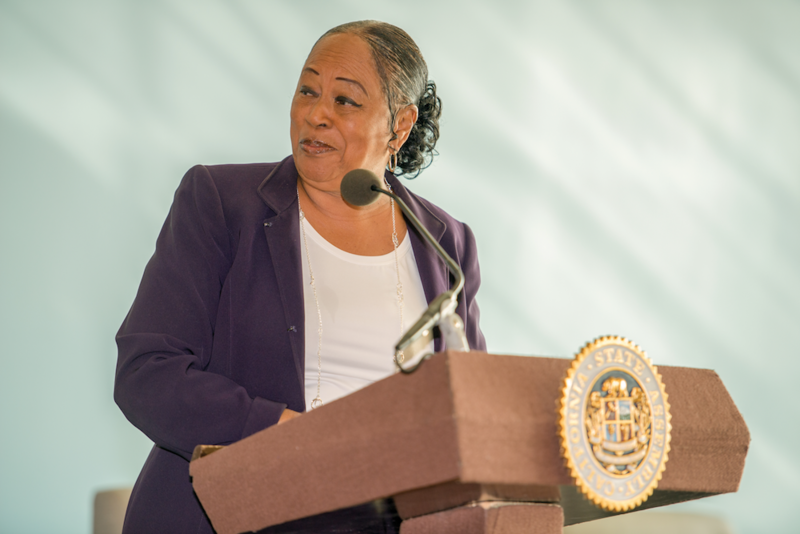 Gloria Gray: One of the jobs I had working for the L.A. County Department of Health Services was community liaison, so I had a lot of experience working in the community. I have also served on a number of nonprofit boards. It has always been important to me that our communities are aware of the resources available to them and informed about significant issues, like water and health care. I also wanted to ensure that they understood what West Basin was all about and what it provided. Kris Polly: Moving forward, what are some of the top issues that you hope to address in the near term as the new chair of Metropolitan? 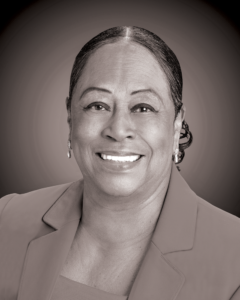 Gloria Gray: First of all, I’m deeply honored that Metropolitan’s board has elected me chair. Metropolitan has a wonderful history, and what I would like to focus on is keeping it strong for the next generation. I want to make sure that Metropolitan continues to be the nation’s largest supplier of drinking water, with 19 million residents in our service area. I also want to be the kind of leader who will continue to foster collaboration and transparency, which I believe are important elements of effective leadership. When I was running for chair, I tried to meet with a lot of different stakeholder groups, and with every member agency, from Ventura to San Diego, so that I could listen and learn about their most significant issues. Metroplitan represents 26 agencies, and there are 38 members on the board. It can be a challenge to bring everybody together, so collaboration is crucial. I also want to lead in a spirit of openness and partnership and to represent Metropolitan on policy and programs on a national, state, and local level. This will be important as we face many challenges to our water supply. Fixing the aging infrastructure that delivers water from the delta is a big one, which makes the construction of California WaterFix all the more critical. This project will ensure we’re more resilient in the face of climate change and seismic risks while also contingency plan (DCP), which aims to prevent a severe shortage in Colorado? Gloria Gray: It’s crucial for water reliability in Southern California. The DCP is an agreement by the basin states that rely on the river to boost storage levels in Lake Mead and Lake Powell to keep the reservoirs from reaching critically low levels. Metropolitan’s board took a vote to support it in December. There are other entities that have not yet made that decision, but I think Metropolitan is looked at as a leader, and we need to support efforts to increase the sustainability of the Colorado River, which is a major source of drinking water for millions of Americans, including us in Southern California. Kris Polly: Would you please share your thoughts on conservation? Gloria Gray: Conservation is important to our water supply portfolio. Metropolitan is constantly spreading a message of conservation and investing in programs to help everyone in our service area be more efficient with their water use. Likewise, the state has done a great job with its messaging, making sure that people understand the importance of saving water. This has contributed to a 35 percent drop in per capita water use in Southern California since 1990, even though our population continues to grow. We’ve done a great job conserving water in West Basin, so I’m grateful that my community has heard this message and continues making efforts to reduce water use. However, conservation is just one piece of a larger, comprehensive strategy to ensure our water reliability. It’s also important that we develop more local projects. We can’t always rely on imported water, especially keeping in mind the continuing decline in our water resources due to climate change. Metropolitan imports about 25 percent of its water from the Colorado River and 30 percent from the State Water Project. West Basin is known for its recycled water project, which designs five types of water to meet the needs of different water users, including water for irrigation, cooling towers, and seawater barrier and groundwater replenishment. We are also pursuing an ocean desalination project in El Segundo that would produce 20–60 million gallons of drinking water from ocean water every day. Metropolitan also has its own recycled water demonstration project that will open in March, the Regional Recycled Water Advanced Purification Center, which is being developed in partnership with Sanitation Districts of Los Angeles County. 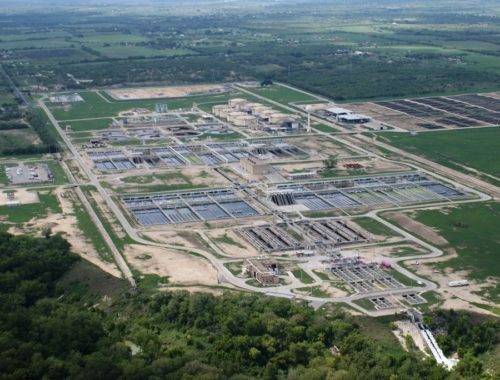 It will start with a demonstration facility to test an innovative water treatment process and could eventually lead to the construction of a full-scale recycled water plant that would be one of the largest in the country. This is a new venture for Metropolitan that is important to the potential future of Southern California’s water supply. Kris Polly: What are your thoughts on the importance of investing in water infrastructure? Gloria Gray: I believe the investment is critical. We’ve got to do the research and gather enough information to make visionary decisions in an informed manner. That’s what California WaterFix is all about: investment in the future. You can’t just look at the threats you face now; you have to look toward the future. Diamond Valley Lake is a great example. Metropolitan completed this project in 2000. It is now Southern California’s largest drinking water reservoir and holds enough water to meet the area’s emergency and drought needs for 6 months. These projects are for future generations—my grandchildren and great-grandchildren. Kris Polly: What is your message to legislators and policymakers? Gloria Gray: I hope they will focus on a vision for the future. I also hope that they will learn to collaborate and see the full picture, not just look at one particular agenda. They need to have a broader view of what water policy be the about water policy, and there has always been a division between north and south. As a water leader, I not just from the point of view of Southern or Northern California. Kris Polly: Would you tell us about Metropolitan’s history of partnering with agriculture? Gloria Gray: Agriculture is important to everyone in the state and is such a big part of our state’s economy. I’ve been trying to meet with people from all perspectives, including farmers in the Central Valley. Everyone in this equation is important. Metropolitan also has partnerships with irrigation districts to reduce Colorado River water use. These voluntary land-fallowing programs provide farmers with financial incentives to save water, making more water available to our service area in Southern California. Kris Polly: Is there anything else you would like to share? Gloria Gray: Whenever I take on a leadership role or anything in life, I am committed to it. I believe in working hard and learning about issues. That’s why I believe in reaching out to individuals, listening, and trying to learn everyone’s perspective. At the end of the day, it’s about doing what is best for Metropolitan, its member agencies, and the entire state. This is at the top of the list for Metropolitan as we keep striving to fulfill our mission, which is to provide a high-quality, reliable water supply to Southern California. I remind our board to read our mission; go back to our mission. People may have individual agendas, but we are one coalition. 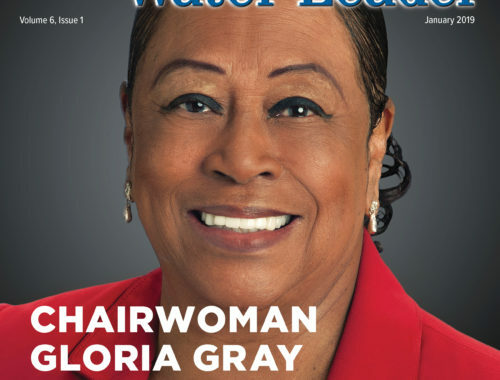 Gloria Gray is the chairwoman of the Metropolitan Water District of Southern California. For more information about Metropolitan, visit mwdh2o.com.